Vous êtes ici : Raid in France » Where to see racers? End of the race: All the teams will cross the line around 10 am. They will then be in the village Corail, where they’ll gather until the closing ceremony scheduled at 6 pm. It will be followed by a closing gala dinner. Today is the big day for the teams at the Village Corail, Saint-Gilles-Les-Bains. For those who want to see live the racers, you can go to Saint-Gilles harbor and walk along the beach with them. Many teams will still be in Maïdo peak for the last mountain biking leg. The others will be at sea in the early morning between L’Etang-Salé and Saint-Leu. Teams come from Saint-Gilles-Les-Bains harbor to finish at the Village Corail in Saint-Gilles-Les-Bains. For the teams who stay in course, you could see them at CP18 Gîte des Tamarins and at the Maïdo peak (CP19) on the leg number 3 of mountain biking. They will paddle for 37km at the start of the nautical base of Saint-Pierre. You could see them at the beach of Etang Salé and to the finish of the leg in Saint-Leu’s esplanade. 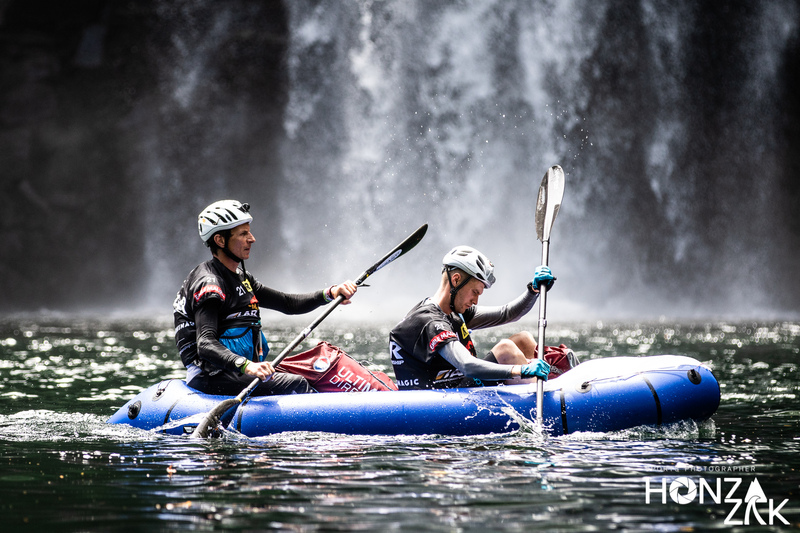 -Front and middle teams : they will follow the three rivers on this packraft and second section. They will be visible on the path leading towards the Bras des Lianes and the mouth of the Mât River. Then they will go to Bras-Panon to reach La Rivière des Roches, which they will have to follow. The Marsouins river towards Saint-Benoit is the last one of the program. Three important spots: the Bassin de la Mer et des Aigrettes, a 50-meter apseil will be set up as well as in the gulli of Dudu to access the Marsouins river. Otherwise, the CP7, in La Rivière du Mat, is easy to access and offers a good viewpoint to see the teams getting out of the river to bypass the Bengalis dam. 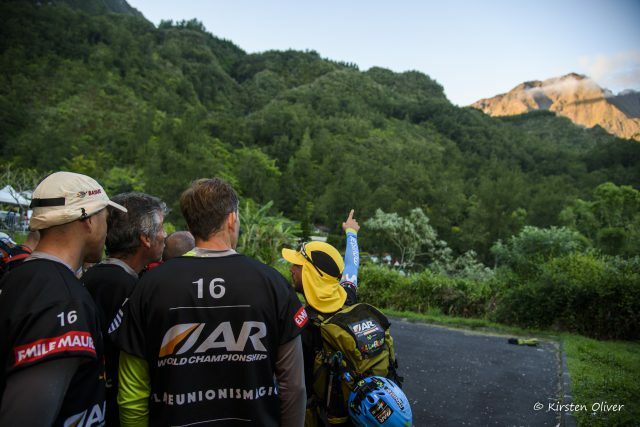 – back teams: the last racers will have to climb the 3,071 meter high Piton des Neiges which is the highest peak of the island. – front teams: teams will climb the Piton des neiges, highest peak of the island (3 071m). For the most courageous of you, there will pass in front of the Gîte of Caverne Dufour. – middle teams: teams are expected at Cilaos swimming pool where they will have access to have some rest. – back teams: 2 canyons – Fleur Jaune and Bras Rouge with two abseils (30m followed with 100m) installed by Raid in France’s high mountains guides.